We are in our 60's and want to start tent camping again. The tent should be lightweight and easy to set up, but tall enough for us to stand in and big enough for a queen sized air mattress. We probably won't use it in extreme cold weather (unless it's accidental) but it should be strong and able to handle rain, high winds, heat, and rugged terrain. We won't be backpacking with it probably, but we will need to be able to carry it around some. We've read about not getting nylon sides or fiberglass poles and making sure there is adequate ventilation, as well as no-see-ums screening, but it is confusing trying to find brands that actually have these features. We plan to be in it about a month at a time, so while we may only use it a couple of times a year, when we do, we will *use* it! Any help would be appreciated. thanks. Time to go camping WITHOUT the kids, right?! Thanks for writing in! And congratulations on taking up camping again. It is such a life-affirming, positive activity and I'm always glad to meet new people who are as excited about hitting the trails as I am. 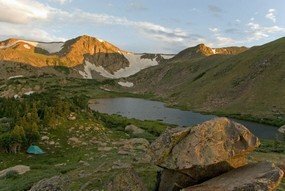 You're right to be discriminating about your tent purchase. This is a big deal--buying a tent is an investment. Tents don't come cheap, so you need to make sure that the model you lay down money for has every feature you need and will last you for a long time to come. I'm going to talk about my favorite three tents for you to look at. They all conform to your needs and you'd be a happy camper with any one of them. But first, let's talk a little bit about the most important considerations you--and all other tent buyers out there--need to keep in mind when shopping for a new shelter. When you go out to buy a tent, you can't just pick the one that looks the coolest and be on your way. As you know, you need to do your research, take your time, and really judge a model's worth. These are 5 buying factors you cannot afford to overlook. Size -- Arguably, interior space is the most important consideration. You need to make sure you're comfortable and that all your gear fits inside--or at least in the vestibule. If you don't mind getting cuddly with your camping mate, get a 2-person tent. But if you'd rather have some more breathing room, think about always getting a tent one size up from your literal needs (i.e. a 3-person tent for two people). Ventilation -- Getting good airflow is certainly important on warm days and nights, but it's also vital for cool ones. Poor ventilation can make an interior stuffy or cause unnecessary condensation. Make sure the air can move if you want a comfortable night. Protection -- Can the tent stand up well to the wind, the cold, the heat, the rain, and anything else Mother Nature decides to throw at it? If you plan on spending hundreds of dollars for a new shelter, it certainly ought to. Look for sealed seams, DAC aluminum poles, coated polyurethane, and a well-designed rainfly for the best in tent protection. Ease-of-Use -- No one wants to spend a half hour setting up a tent--especially if a rain storm catches you off guard. Look for a tent that is not only advertised as being easy to erect, but also has consumer testimonials to back up the claim. Are there other considerations to make when buying a tent? You bet there are! Price, material, and shape are among them. But if you nail down the five factors listed above, you'll be well on your way to picking out the perfect structure. All right, let's get down to business here! You're looking for a tent with a lot of excellent features--in both the practicality and luxury departments. For my money, there are a handful of manufacturers I will always look to first. Of those, the two you should really investigate further are REI and Big Agnes. These two companies are known for making safe, spacious, light, and easy-to-set-up shelters. Their wares may be a bit on the pricey side, but I guarantee you that they're worth it. Each of these tents features enough interior room for your queen-sized air mattress, and their peak height range from 5'8" to over 6', making it possible for you and your missus to stand mostly upright inside--assuming neither of you are much taller than average. Whether you pick one of these three or a completely different one, let me know what you decide! I'm always looking for new models to try out, if they're recommended to me by a trusty camper--which you certainly appear to be! Best of luck! 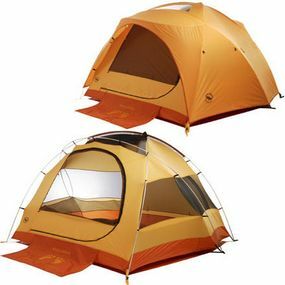 I am going to buy a tent, therefore I was searching for some guideline and tips about it. This post is very helpful for me which is about Top 5 Things to Consider When Buying a Tent. Join in and write your own page! It's easy to do. How? 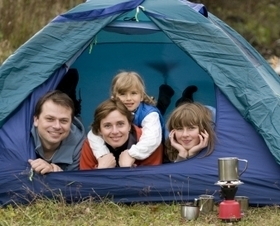 Simply click here to return to Quality Tents: Shopping Questions for Buying the Best Tents.